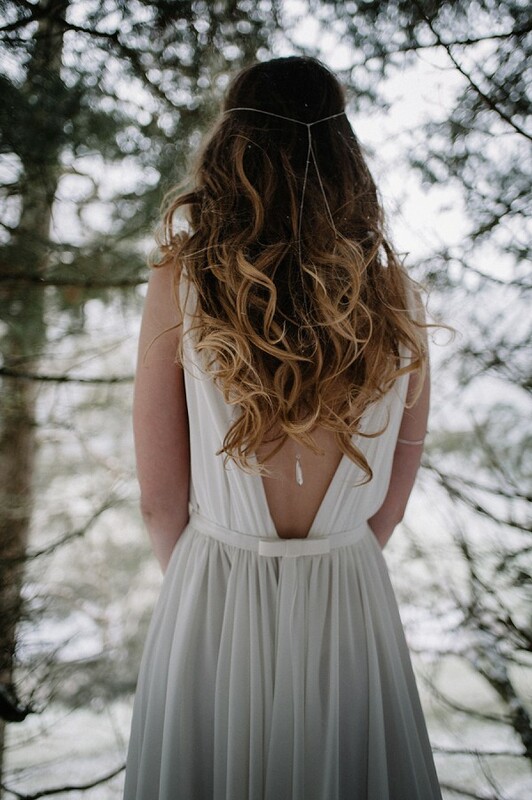 Welcome to another wonderful week lovelies, we are so excited that it is the first week of January!!! 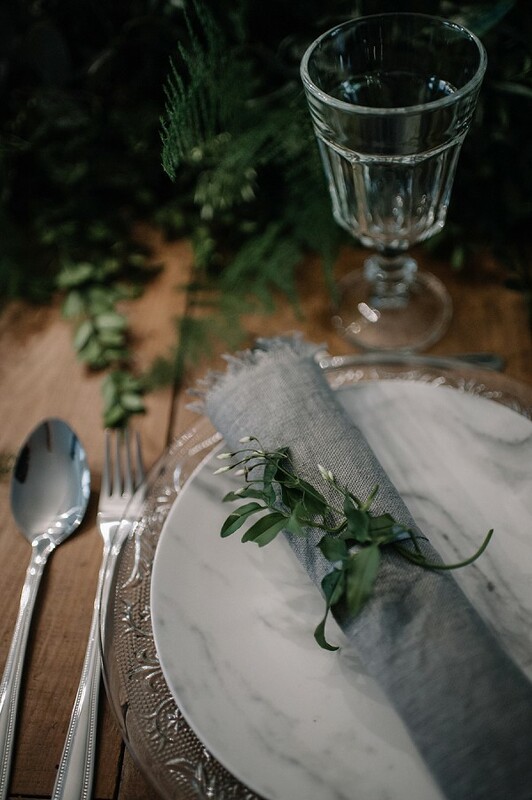 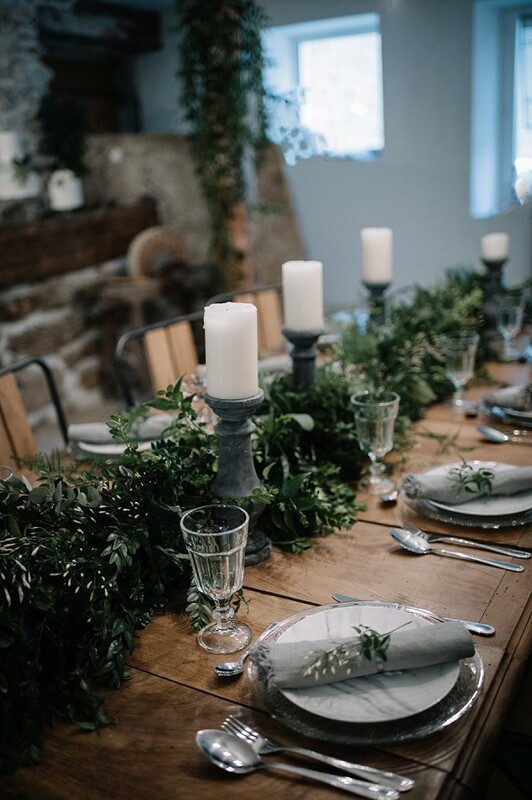 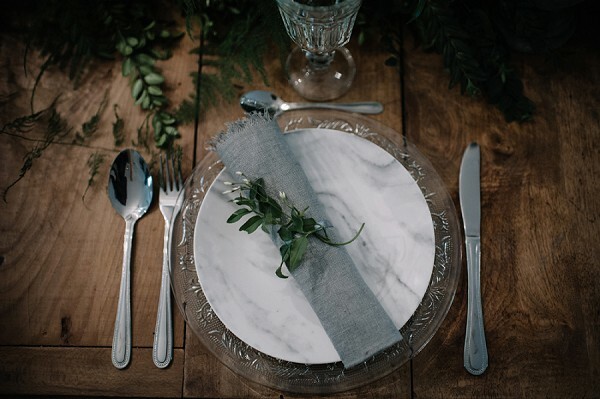 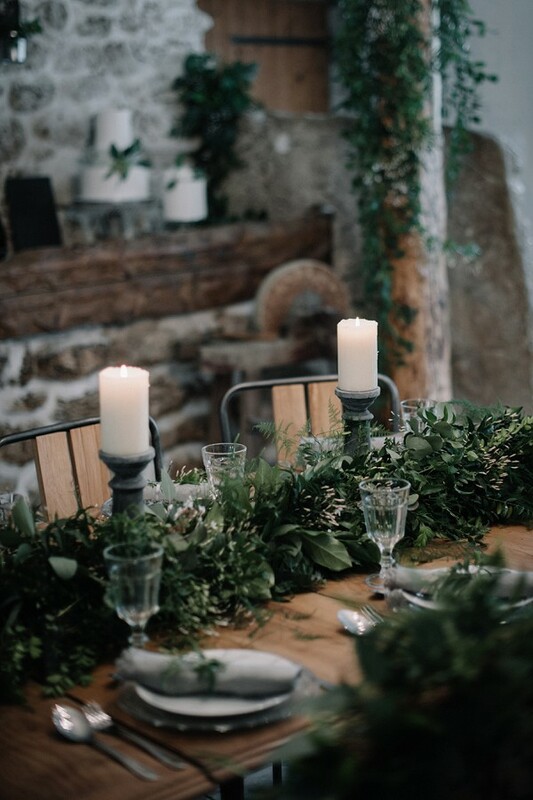 Today’s winter wedding inspiration styled shoot is getting us even more excited. 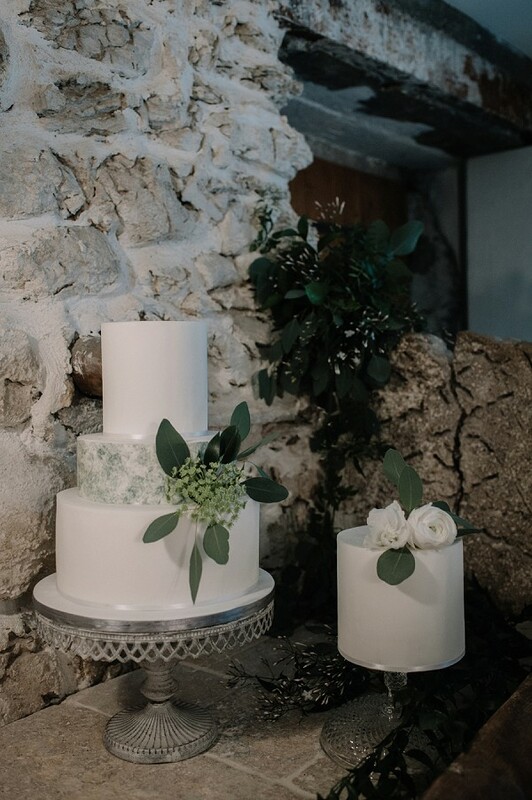 Held at La Grange Aux Fées in the Autrans, a former commune in the Isère department in the Rhône-Alpes region of south-eastern France. 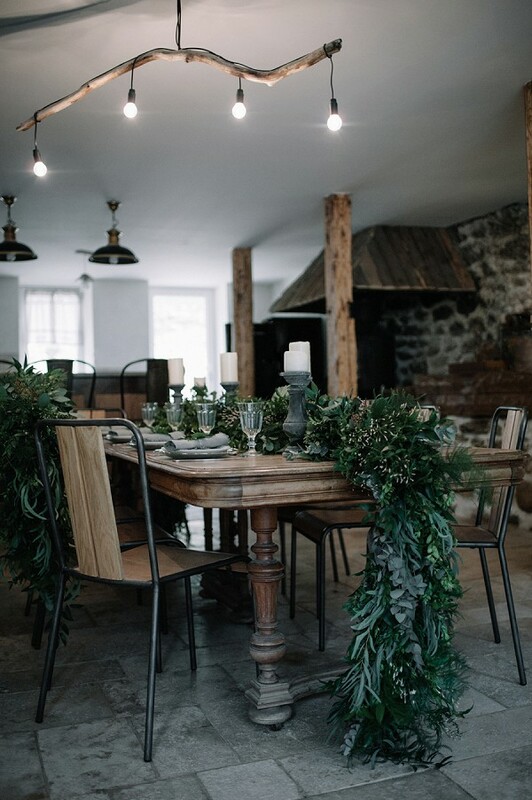 With the promise of snow and beautiful scenery we’ve booked our tickets already! 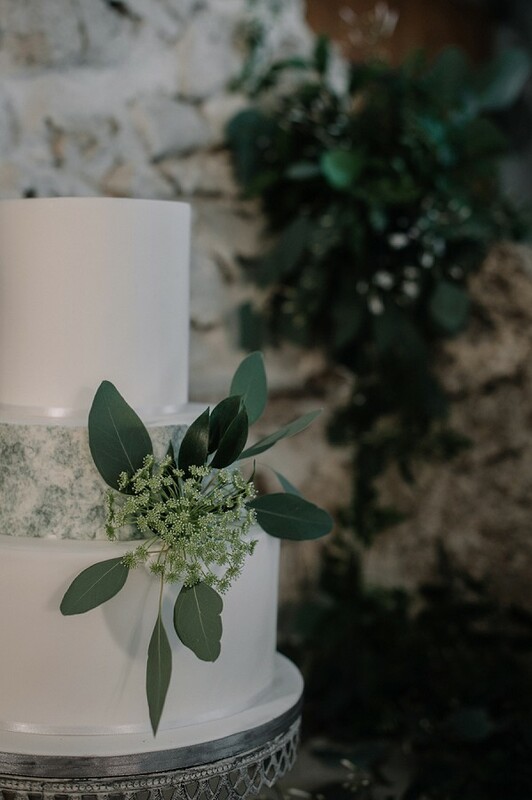 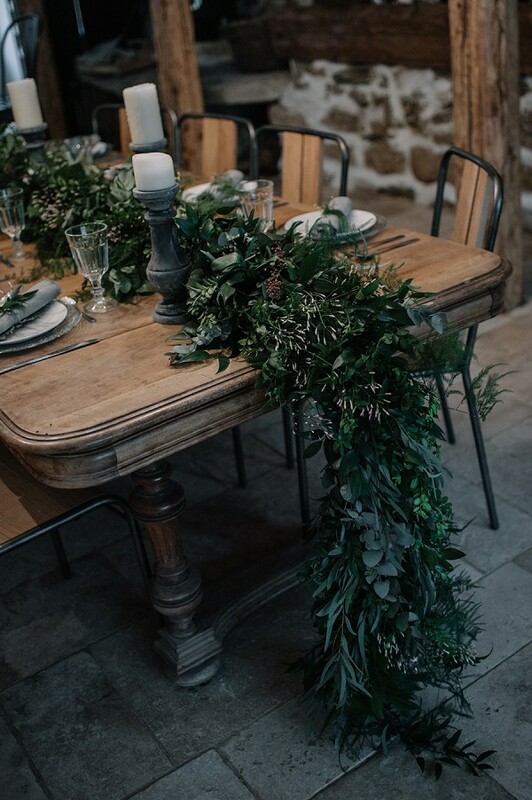 Back at FWS HQ, the Christmas music is playing ‘Deck The Halls’ as we swoon over all this gorgeous greenery styled by Rose Poudrée florist and the gorgeous couture gown created by Mademoiselle Rêve Mariage featured in today’s styled shoot and oh that veil… just breathtaking! 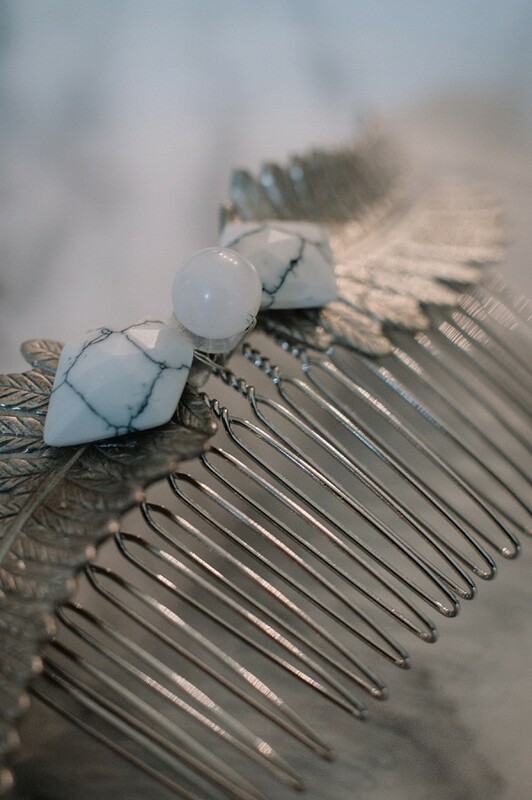 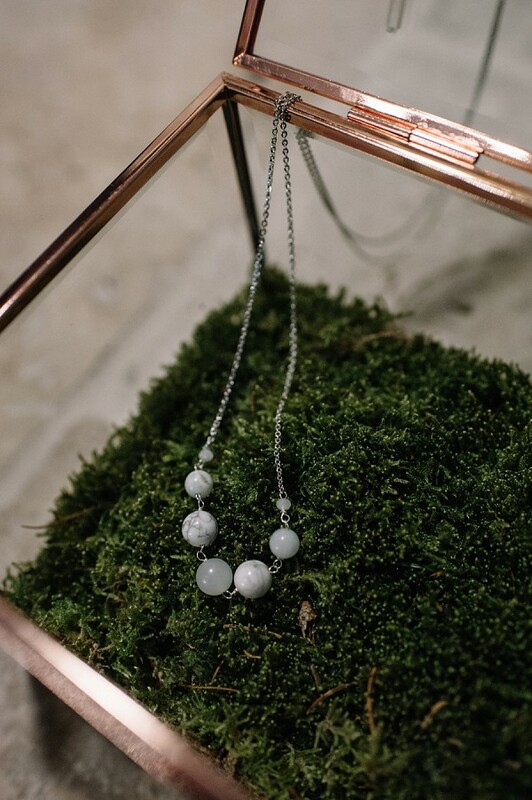 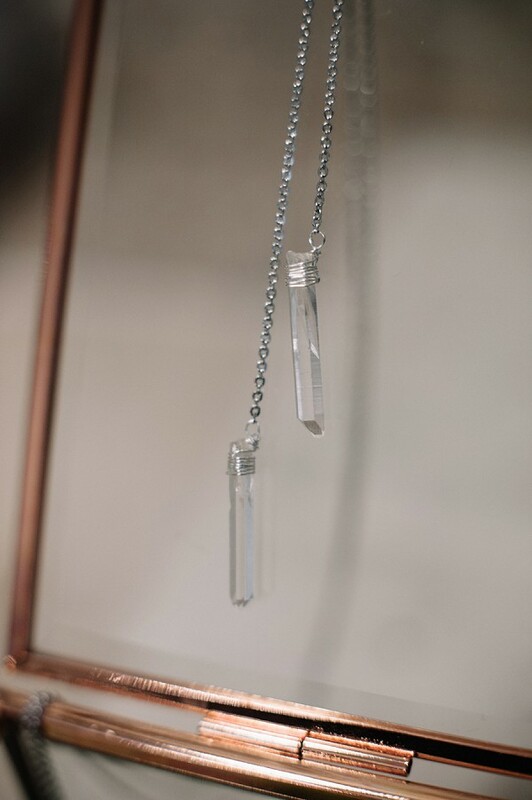 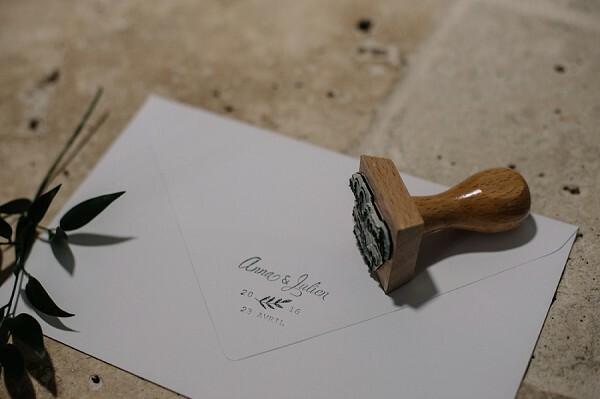 Every detail has been captured beautifully by FWS vendor Madame A Photographie to inspire you during your wedding planning journey. 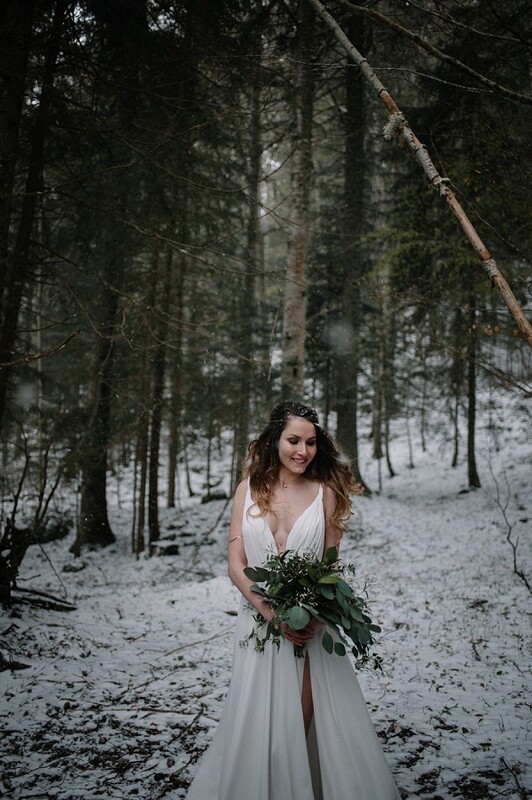 “As Freshness is coming I submit today this editorial photo shoot that took place last April at La Grange aux fées in the French Alps, as it was at the beginning of spring we were not expecting the arrival of snow! But bad weather did not diminish the motivation of the vendors participating to this shooting. 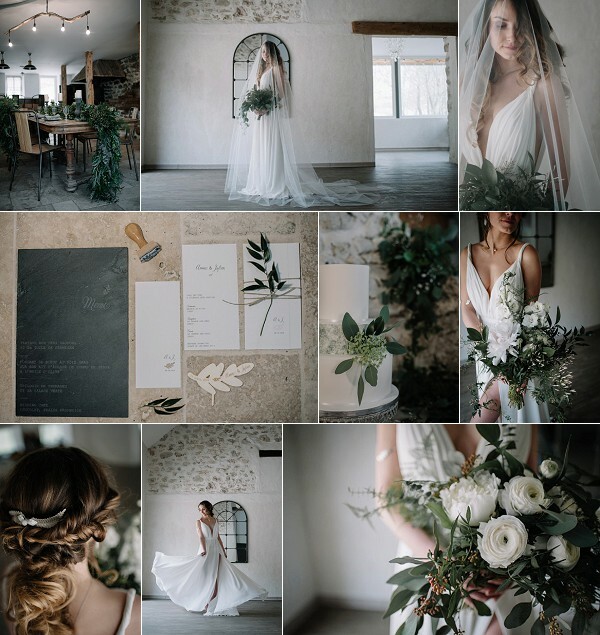 The aim was to surround me with local vendors to create a very minimalist inspirational wedding photo shoot in nature, with organic and plant materials. 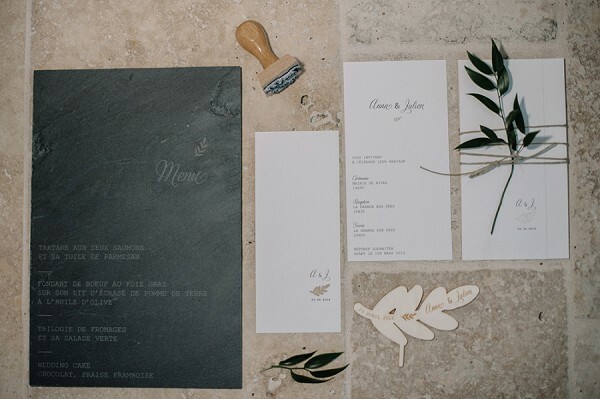 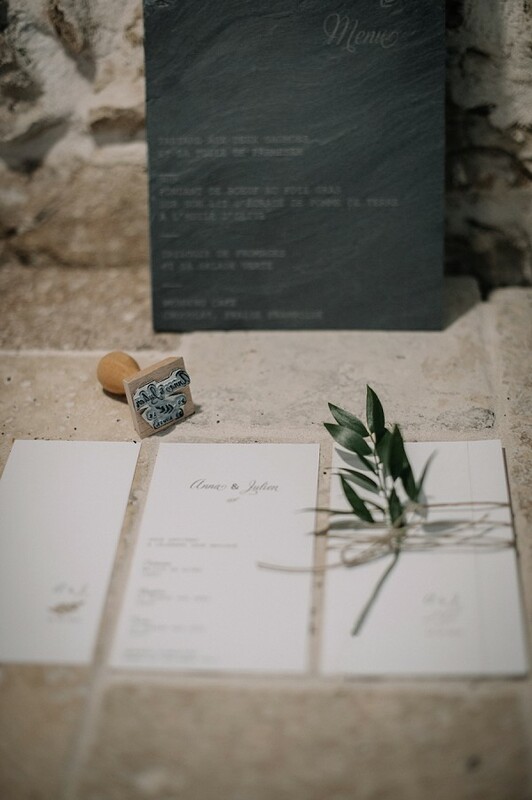 Wood and marble was our starting point.” We are in love with this gorgeous personalised stamp, what a fabulous idea! 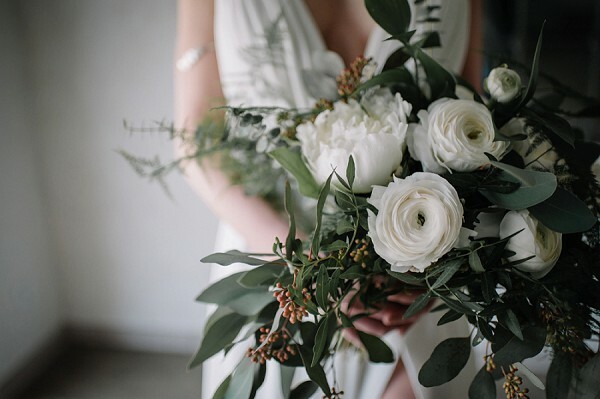 This floral bridal bouquet is elegance at it’s best, simple but truly beautiful! 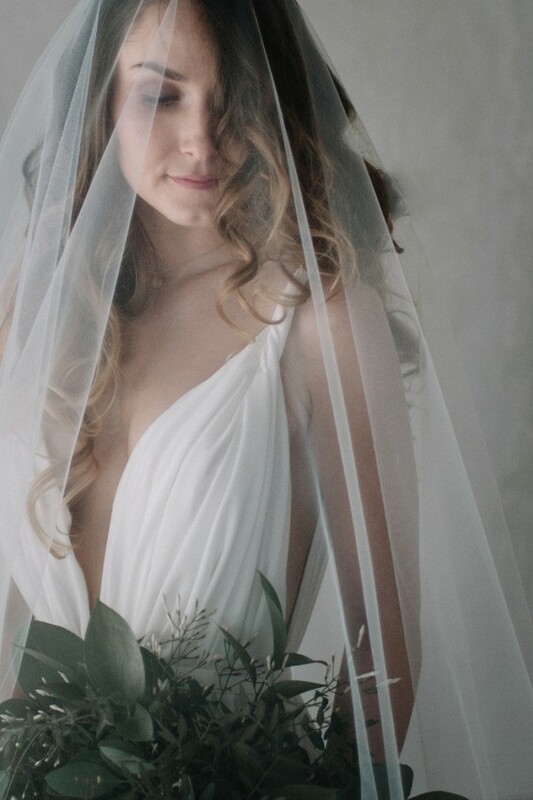 The images created with this gorgeous sheer veil are just exquisite and so romantic. 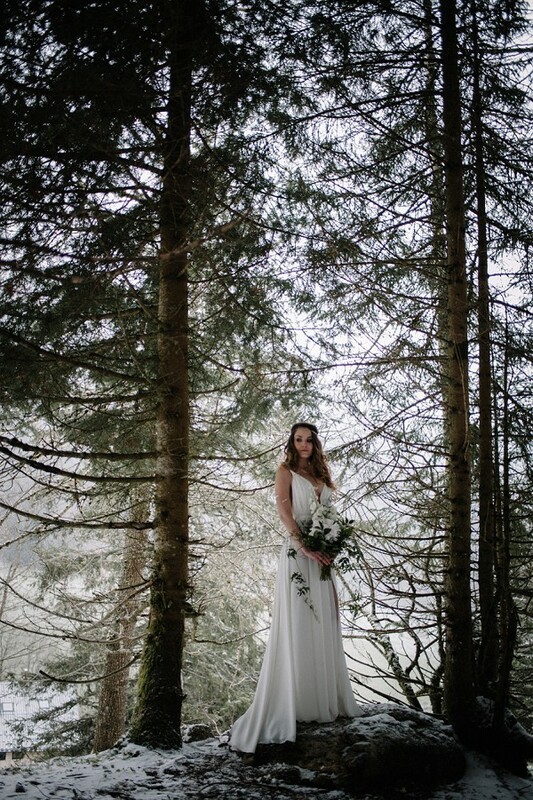 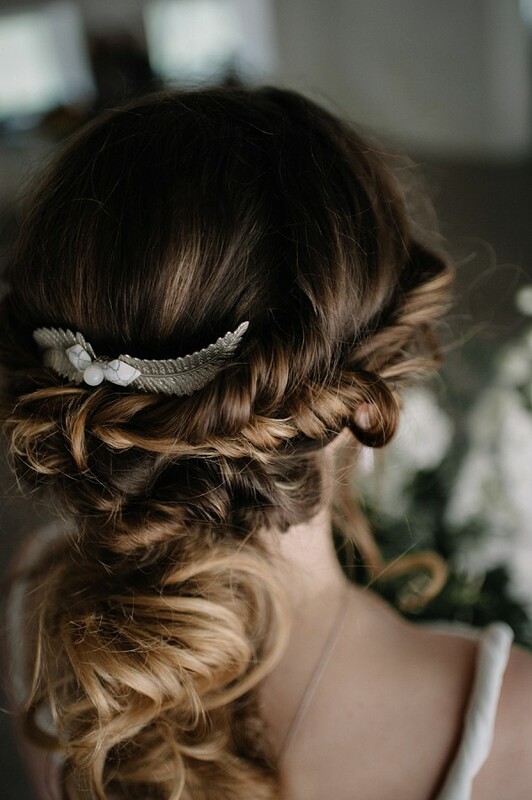 Winter weddings, especially those with a touch of snow ooze romance don’t you agree? 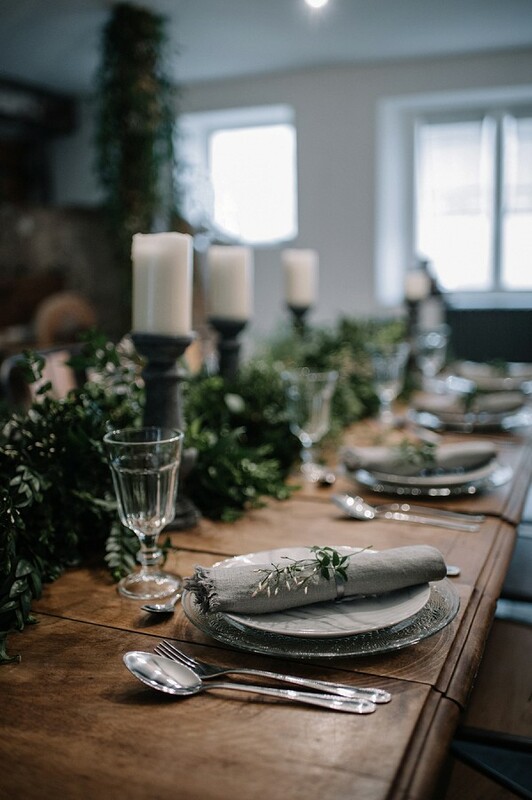 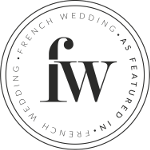 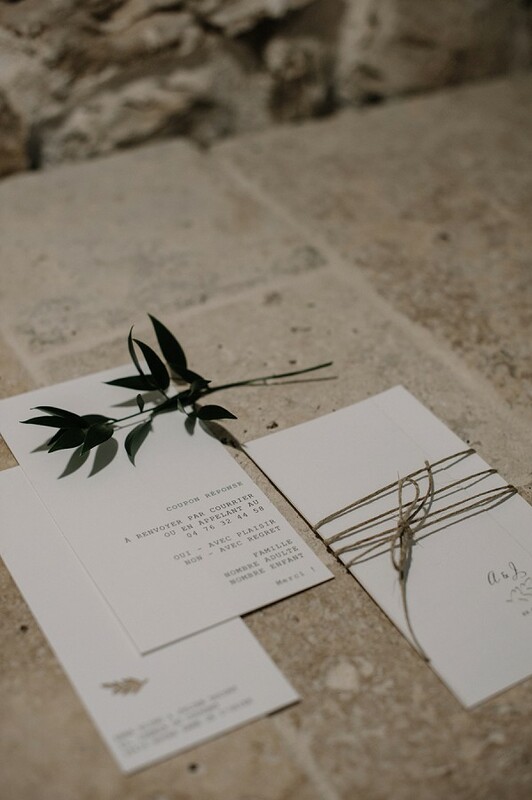 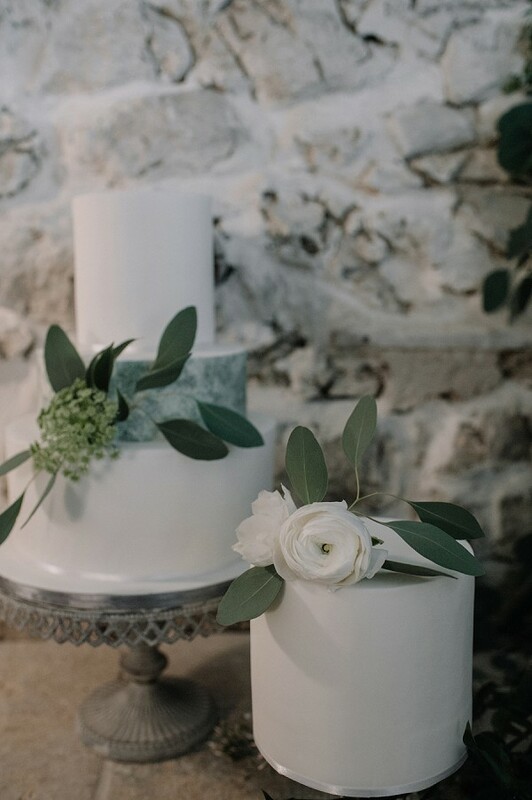 …and if that wasn’t enough check out this stunning French Chateau Winter Wedding Inspiration Board.